With version 2.3.0 istSOS along with several bugfixes and improvements is introducing three interesting features: authentication, data viewer and notification. First of all we have implemented an integrated authentication & authorization system and adapted the Web interface. Depending on the role assigned to the logged user the interface automatically adapts to show permitted tasks and hide non-permitted actions. 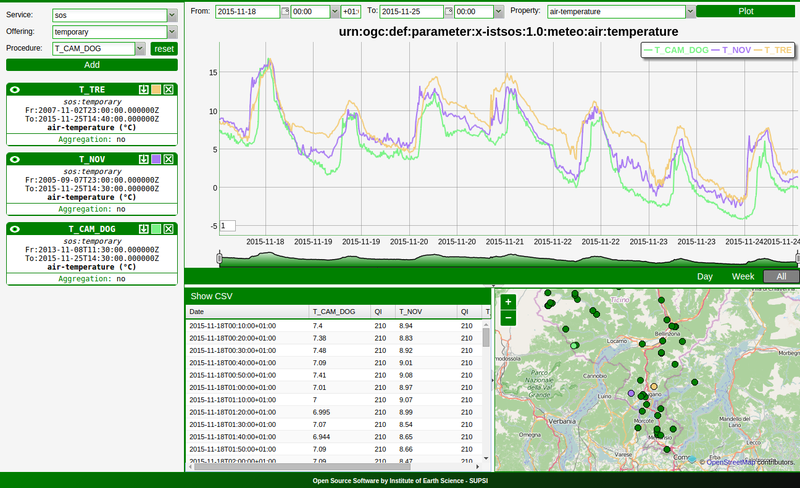 The second feature is a renewed DataViewer interface that now includes a new map panel showing sensors positions. The third feature is the consolidated istSOS Notification Service which thanks to several bug fixes has reached its maturity. For those using istSOS 2.2.1, the upgrade to 2.3.0 should be painless and would need only an upgrade of the source code and a copy of the 'service' folder. 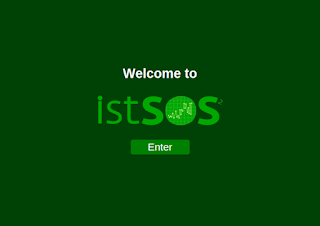 Up to now a standard installation of istSOS comes without any kind of protection and administrator needed to use external authentication tools. Now, with version 2.3.0 istSOS came with embedded five security modes and four accessing roles. Fully open: the simplest and that’s the way istSOS is installed by default. No protection is applied, everything is open. Closed: this mode blocks all unauthenticated requests to istSOS lib, WAlib and the HTML files. Closed, with welcome page open: blocks all unauthenticated requests to istSOS lib and WAlib. The HTML part remains open showing the welcome page with few informations. Hybrid: The Hybrid mode blocks all unauthenticated interaction with the HTML and the WaLib (REST API), but opens completely the access to the istSOS lib api (Sensor Observation Service). A new panel showing sensor position is added in the Data Viewer page. According to user preferences panels can be re-sized. We are testing it right now on our production server so the final stable 2.3.0 release will be available soon on our repository on SourceForge http://sourceforge.net/projects/istsos/files/ .